Welcome to the first Frugal Friday linky party of 2011!!! I've missed hosting this party for the past couple of weeks, and am so excited to see all the frugal inspiration that you all have to share! Here are a few of my favorites from the last party. 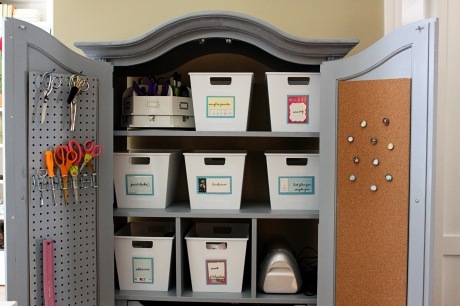 First up, Maple and Magnolia shared her awesome craft armoire rehab. Love this!! I need to be on the lookout for a $25 armoire myself! 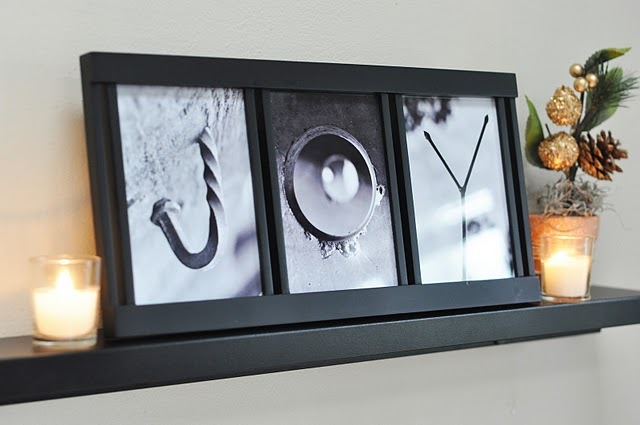 Craftily Ever After shared free "JOY" photography printables. I realize Christmas is over for this season...but get a jump on next year!! 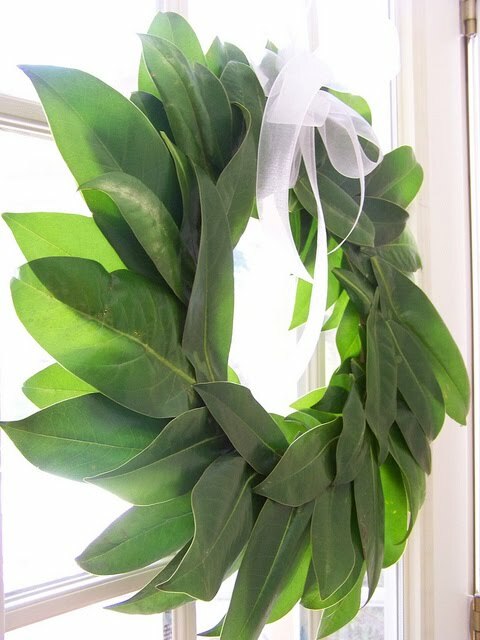 Hi Sugarplum shared her DIY magnolia wreath. Take that, Pottery Barn!! 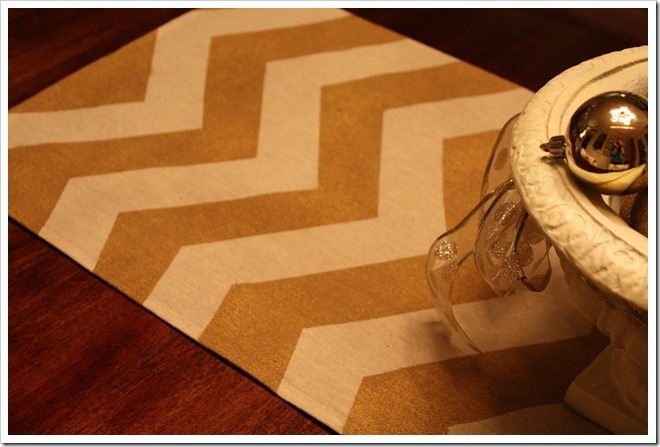 You can make this fabulous DIY chevron table runner! Check out the instructions that A Thoughtful Place shared! Please link directly to your Frugal Friday post and not just to your blog. Please link back to the Shabby Nest so that other's can enjoy the Frugal Goodness. Please leave comments for the authors of the blogs you visit for Frugal Friday. Help our participants feel the love! I reserve the right to remove those links that connect to your linky party, your shop or any other post that is not in keeping with the spirit of Frugal Friday. Let's all play fair, mkay? Thanks for hosting, Wendy! I hope your husband has a speedy recovery! LOVE that magnolia wreath...thanks so much for hosting! Hope your husband feels better soon. Thanks for hosting! Thanks for Hosting~Happy New Year! I'm glad to see you are back hosting. I absolutely love that magnolia wreath! Hi Wendy, I sure hope your husband is feeling better. Thanks for hosting. By the way, if anyone needs a cabinet like that and is in my area, there is one listed right here! Love Courtney's table runner, I will have to try this! Fun linky party, linked up my latest stencil project...have a great weekend! I am keeping you and your dear husband in prayer. May he rest and recover quickly. Thank you for hosting. I am looking forward to viewing all the craftiness. Hi, I am a new follower and have linked up to Frugal Friday and wanted to say thanks for hosting. Please stop by my place some time and follow me back. Praying for your hubby. He'll be better soon. new year new projects! i'm excited! Wow -- thanks for showing off my magnolia wreath!! i wondered where all the traffic came from....YOUR amazing blog!! and thanks for the par-tay! Thanks so much for featuring my table runner! So fun to see it on your blog. Great link party.